In Northern Thailand, there is a town called Chiang Mai, that now houses industrial factories that make allowances for tourists to see their wood carving processes. Many master Thai wood carving artists live here as this is the region that produces the teakwood forests. 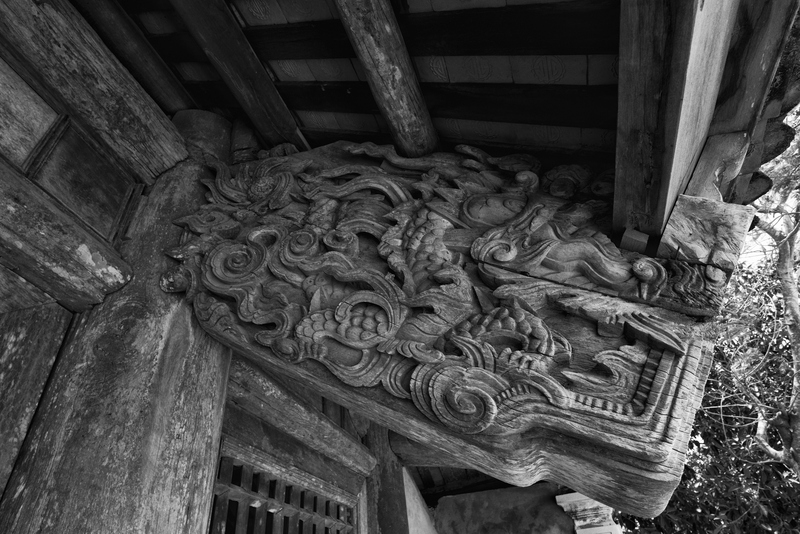 Teak is the prime wood choice used for this specific type of carving. 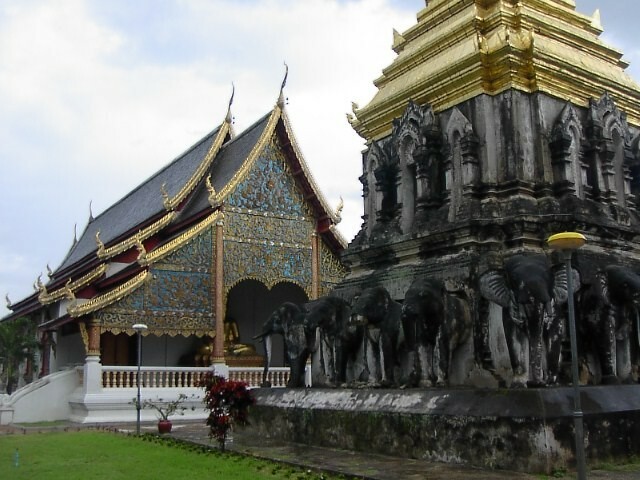 In Chiang Mai, there is also The Lanna Wood Carving Art Museum which houses an arts and crafts center and an exhibition center with the sole focus of on this specialty manipulation of wood. Included are the masterpieces that are made by master, ranging from wood carving items, tools to antiques. These are all spread out over four floors with artworks spilling out onto the extended balconies and into the back garden too. There are statues of Buddha, columns carved with traditional Thai deities, elephants demons, and goddesses. 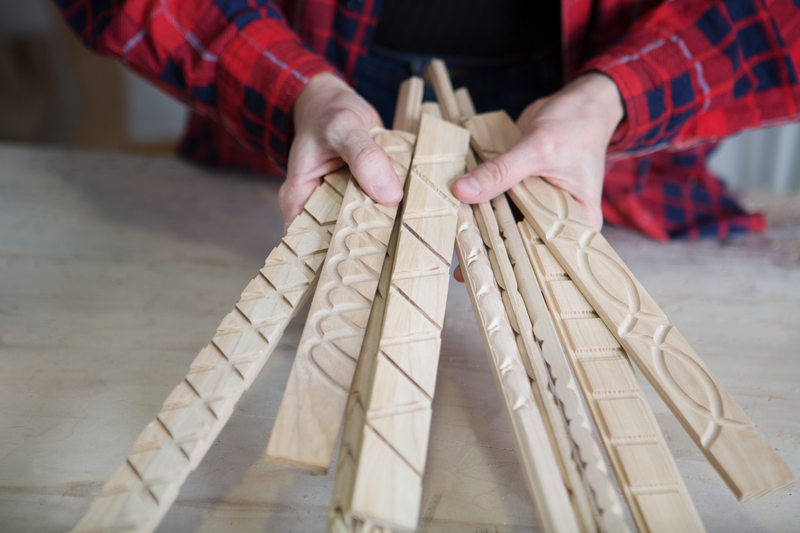 The wall pieces can reach lengths of 20 feet and be as high as 6 feet tall. The artworks are huge, and it takes the average visitor over an hour to see all that the museum holds. This museum honors the countryside and its master craftsmen, as this territory used to be called the Kingdom of Lanna. It is also where the teak wood was grown and used to make some of the historical wood crafted products seen in the temples in and around Thailand. The Lanna Museum is privately owned and is a labor of love for the owner, Charoui Na Soonton. His collection of over 1,000 wood crafted carvings of giant el ephants and bas-relief. Some wood carvings show an episode from the Ramakien which the Thai version of Ramayana is, are all on display in this traditionally proud museum. 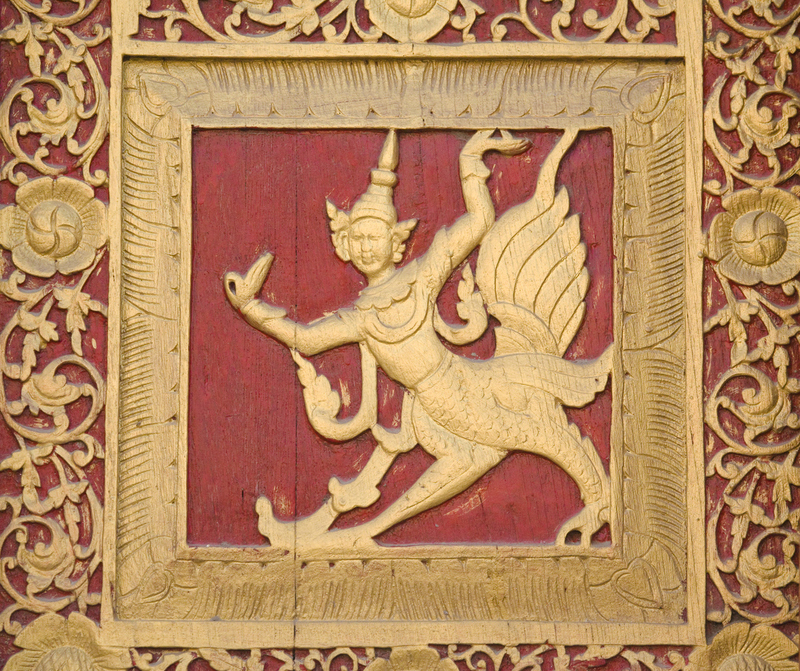 Many buildings in all of Thailand and especially Bangkok have wood crafted artwork on their outsides, on the doors and insides of the temples the best examples of this art are seen. Examples of this artwork can be seen all over Thailand, but not so many together in size, variety and by such master wood craftsmen, many who live in the surrounding areas of Chiang Mai. This is a popular place for tourists to visit as it holds a lot of ancient Thai history. It also affords the luxury of taking home a genuine handcrafted piece that will act as a reminder of time spent and memories made.